A new program will provide a wide range of counseling and support services to high school students in D.C. public schools with college aspirations who’ve shown academic promise, grit, determination and other high-character qualities. About 25 students will be chosen for the program, called The InspirED Project, based on nominations by school administrators, teachers, counselors or other adults in leadership positions. Nominated students fill out an application for the program. Students can also nominate themselves. Student applications for the program are due February 1. The nomination form can be found on The InspirED Project website. The program will begin in February. The InspirED Project was developed by the University of Vermont in response to a call for innovative pilot projects that the Coalition for College made to its member institutions in 2018. The Coalition is a diverse group of 140 distinguished colleges and universities across the U.S. that have joined together to enable all students who want to attend college, particularly those for whom the path may be more difficult than others, to do so. The InspirED Project has several key features. From the second semester of their junior year through graduation, students will be mentored by five “fellows” – accomplished college counseling professionals located around the East Coast. The students will engage with the fellows both through individual video chat sessions and as they take a special pre-college curriculum that ensures they optimize their opportunities during the college search and admissions process. In addition to the mentoring they receive from the fellows, students will have access to a number of content experts who will work with them throughout the year on important topics like essay writing, financial aid and merit scholarship searches, standardized test prep and interview preparation. 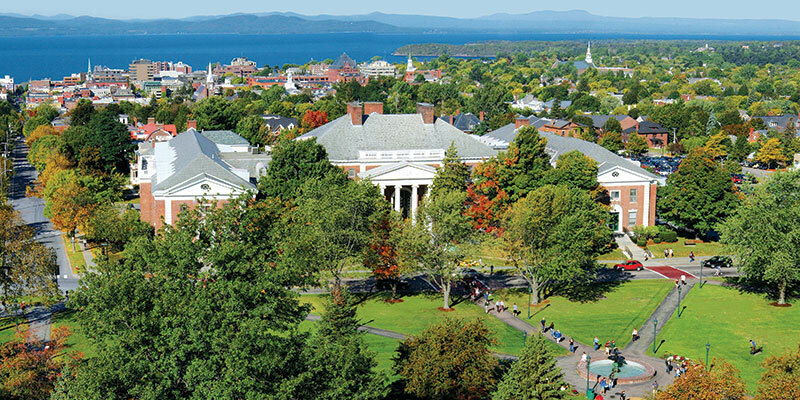 In the summer of 2019, students will visit the University of Vermont in Burlington with the fellows. The event will include a mock application session, mock interviews and other helpful programming. Before and after the event, scholars will receive regular check-ins from their fellows to determine progress and help them navigate challenges. The InspirED Project was created to help support a key value of the Coalition for College: early engagement in the college application process and equal access to college-planning tools that support exploration and encourage self-reflection and discovery. The University of Vermont is among the first three schools to receive an innovation grant from the Coalition for College. The other schools are the University of Texas at Austin and Virginia Tech.